Gary Ryan - Beyond Being Good: Does clutter detract from the services you offer? Clutter creates stress and creates a sense of disorganisation. 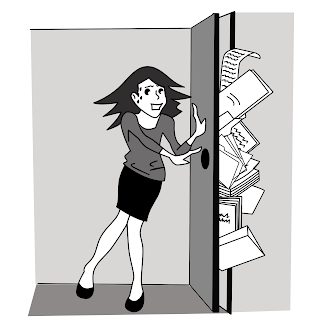 What systems do you have in place to keep both front-of-house and back-of-house areas free from clutter? If you ‘sweep your mess under a carpet’ rather than clean it properly, your back-of-house systems and processes will eventually let your front-of-house operations down. Would you be comfortable letting the public see your back of house operation? If not, why not? What could you do about this situation? Our back of house operations had always been a shambles. But we seemed to keep getting away with it. Until one day we didn’t. And the company nearly went broke because of it. Luckily we survived and we cleaned our act up. Literally! Why not use this article as a catalyst for Conversations That Matter® within your organisation.